Score guide eliminates the need for repeated measuring <li>Envelope sizes measure approximately 2.5" x 3" to 6" x 8.5"
I received my envelope maker a few days ago, and just love it. I agree with everything in the detailed review above, but don't have a problem with the fact that it doesn't handle larger sizes of paper. I mostly make the standard A2 size cards, so this is perfect for me. Very occasionally I make a larger card for one of my grandkids, but then it is only a 5 x7, and the board will handle the paper to make an envelope for this size card just fine. I have the Martha Stewart board with the envelope template, and if I need to make a really large envelope, which is not at all likely, I can use it. The ease of use is amazing! I love not having to get out my corner punch to round the corners, and having to cut out the little notches with scissors. This little gadget does it all - and does it beautifully. Definitely this is the best tool I have purchased since I got my Cuttlebug! You get a lot of bang for your buck! The Punch Board does exactly what it is designed for. I love the fact that everything is right on the board and I don't have to go looking for the size charts. If you are a cm user instead of inches, there is an adhesive overlay that can be applied to the board. Making the scoring lines takes a little practice. Because you can't really feel it with your fingers, you have to learn exactly where to begin scoring at the top. Also, don't press too hard with the scoring bone if using thin paper because it would be fairly easy to cut it. I am looking forward to making many envelopes that actually fit my cards and also on scrapbook layouts. The possibilities are endless! I had my eye on this for awhile. I have to say, I am so glad I finally bought it. I've made envelopes by measuring and using a regular scoreboard, but this takes a fraction of the time to make a perfect envelope. 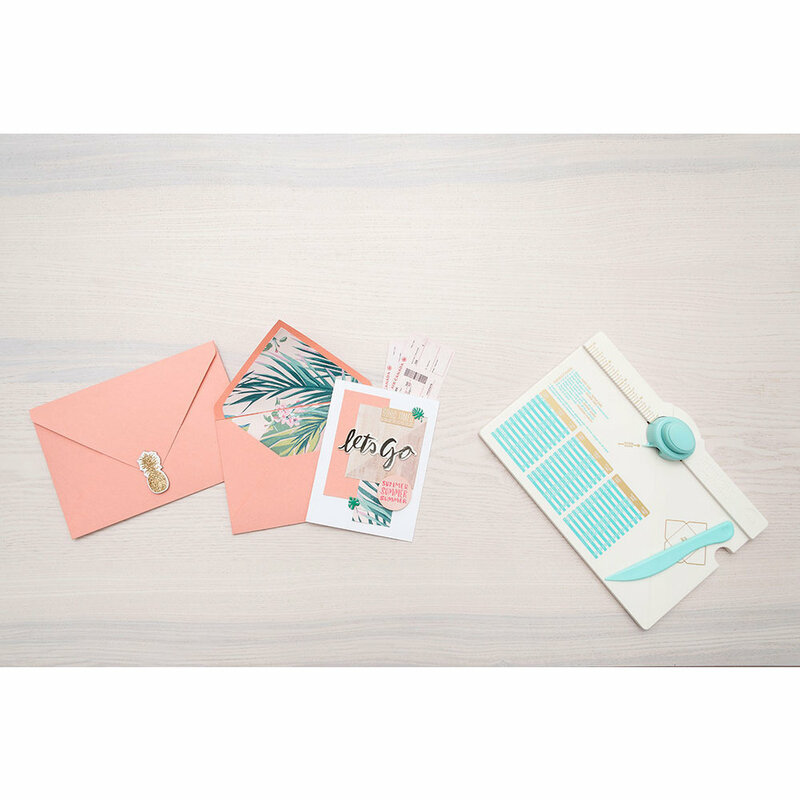 Everything you need is right there in a compact package -- the score line and bone folder (which is conveniently stored in a slot on the side), the notch cutter, the corner rounder, and dozens of measurements for different sized envelopes. Easy Peasy! 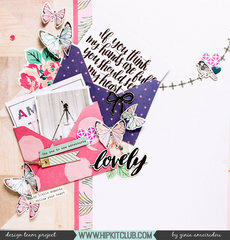 I will get a ton of use out of this, not only for envelopes for cards that I make, but also to make envelopes for scrapbook pages and other projects. Nice job, WRMK! 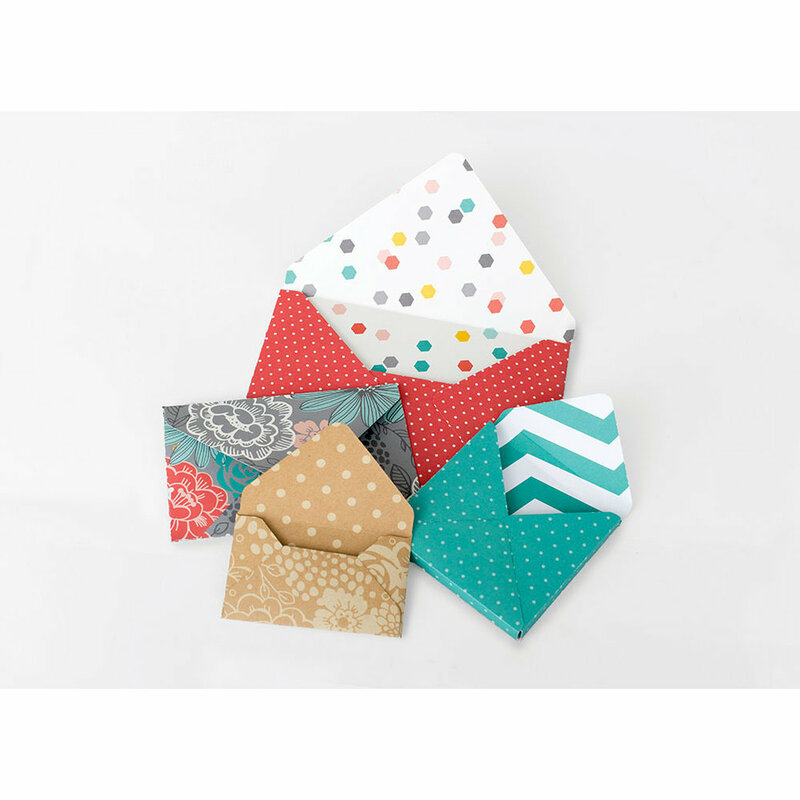 This makes envelope making so easy and quick! I've made quite a few envelopes and so far I haven't found any size discrepancies. However, the first couple of practice cards I made did score wrong. I finally figured out that you only have to measure for the first cut and score. After that you work by rotating the paper and just lining up the score line with the little point. Once I figured that out I was good to go and no more issues. Just have to read those directions real good. I would definitely recommend this product. Another plus is that it also includes a corner rounder that comes in real handy. I love how the little scoring tool stores right in the product for easy access too. I love this little invention. I can make any size envelope with this board. I like making greeting cards but the cards always had to be made to fit the envelope size. 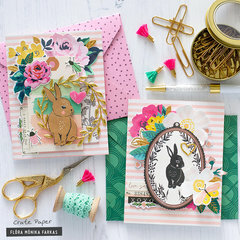 Now I can make any size card I want and can also make an envelope to fit that card exactly. I always used to be stuck buying envelopes in the colors they had in the stores. Now I can take my scrapbook paper and make a pretty little envelope with it in less than 2 minutes. 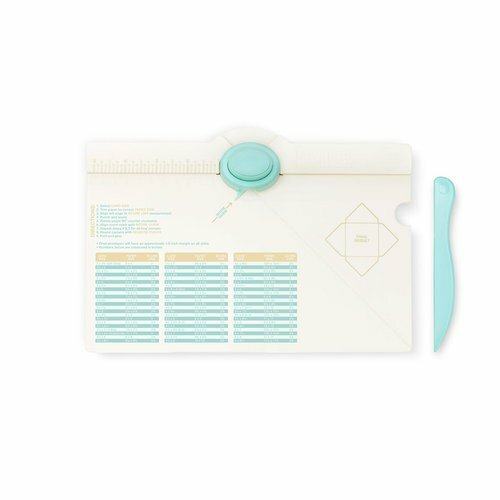 I love this envelope punch board so much!!!! After waiting months for this tool to come to the big chain craft stores because I knew I could get it most economically from them, I got excited when I saw that scrapbook.com had them and went ahead and purchased 3 of them from scrapbook.com. Other than the fact that I thought the Envelope Punch Board was going to be a little larger, maybe the size of Martha's scoring board. I am satified with this product. 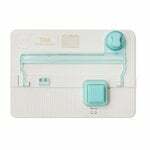 I am not happy that I purchased it from scrapbook.com because their postage is rediculous and I feel I should have waited and put the money they got for postage on an Envelope Punch Board for another fellow crafter. YES, it was that much! A tip for my fellow crafters, there are too many companies out there that offer free shipping when you spend as low as $25 or $50. This company charges top dollar for postage and still sends the items as slow as possible. WRMK had a great idea with this board. The sizing chart is great, they provide a sticker you can attach to the front for those of you using the metric system, and they include a nice pictorial guide to get you started. 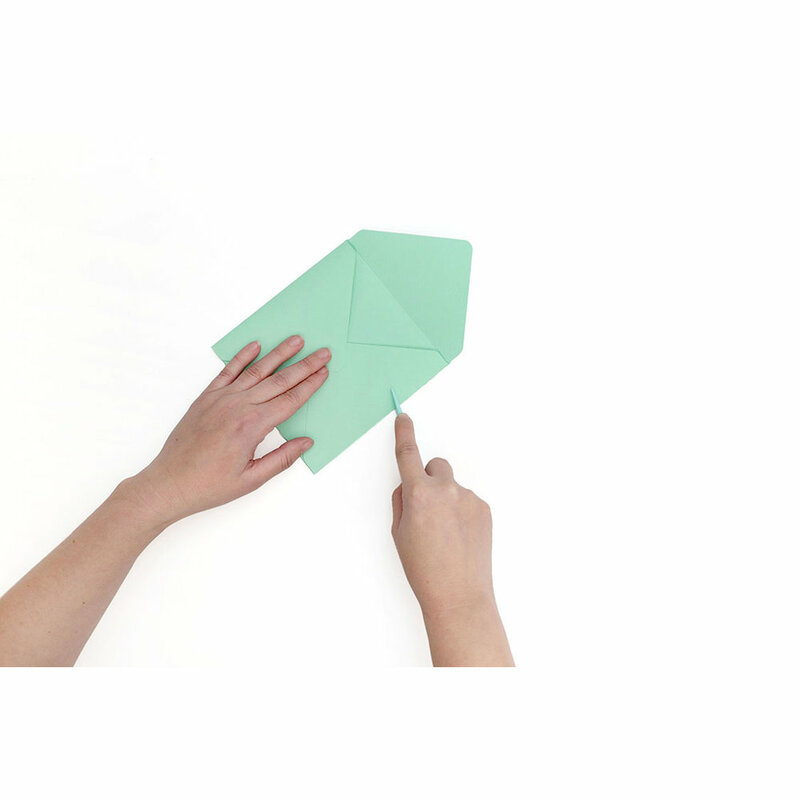 If you make a lot of smaller envelopes, this is definitely a tool you'll want to invest in. If larger envelopes are your forte, I would suggest that you wait for We R Memory Keepers to update this version and make it larger (and I sincerely hope they will). If this board could comfortably handle a 12 x 12 sheet of paper, I'd be singing its praises. But alas, WRMK has a bit more fine tuning to do before this tool becomes a must have. The size chart lists the wrong dimentions! My recommendation if you have this board? Use plain white paper and experiment first! I have wasted several pcs. of 'pretty paper' that turn out the 'wrong size'! Wish their Q.C. dept. would have checked EVERY dimension BEFORE production! The idea itself is brilliant I think; but having so many wrong dimensions has made me disappointed in WRMK! 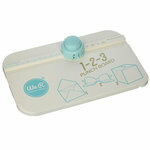 I love this envelope punch board! I just received my envelope punch board about a week and a half ago and absolutely love it so far. I've been playing around with it making all different sizes of envelopes from the very smallest gift card size to the largest one that's 6-1/4" x 9". I love how they tell you right on the board the size of the card (or whatever it is you're putting in there) that the envelope will hold. So the one that says 3x4, for example, will actually be big enough to hold a 3x4 photo, card, journaling spot or whatever. Sure, the board isn't large enough to do the scorelines that are called for on the two long sides of the largest card, but it was easy enough for me to just line it up on my Martha Stewart board and finish scoring the line. No big deal. 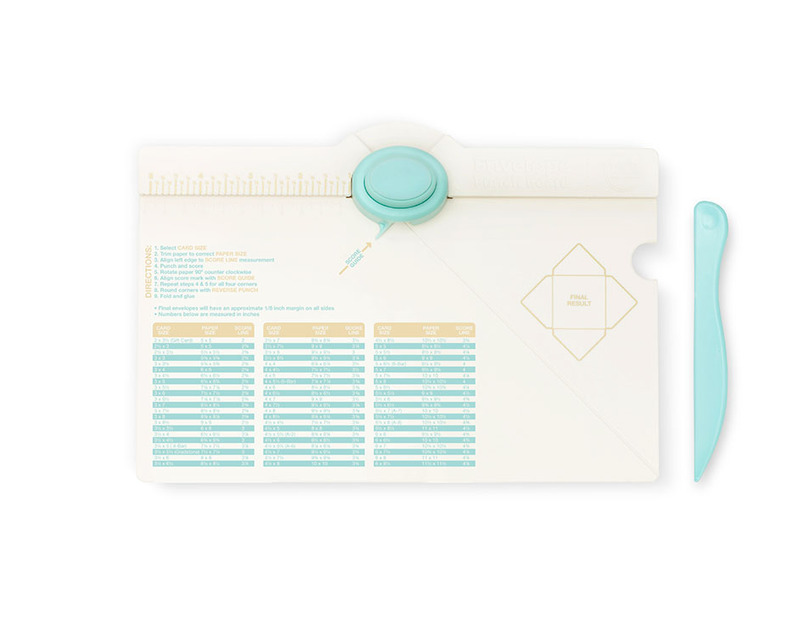 I also love that this awesome tool has instructions on how to make 66 different sizes of envelopes! I am not even really a cardmaker either. 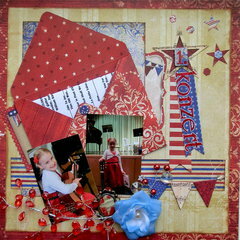 I mean I've made some cards here and there, but I am more of a scrapbooker than anything. I got this envelope punch board to use the envelopes on my layouts, in my December Dailies and mini albums. And for the occasional card that I might make. Plus the fact that you can also make file folders with it is another extra bonus. This is a new cool scrappy tool that I know I'll get a lot of use out of. I have been anxiously waiting for the release of this product. The ONLY "problem" is that I am left handed and this is a right handed product only. I have already used this to make an envelope and it turned out perfect. I cant wait to make several different sized cards now! 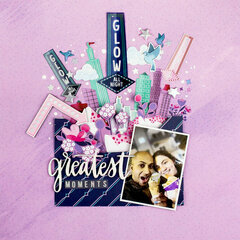 I am really happy with the customer service with Scrapbook.com & have recommended them & the maker to all my friends. Does anyone carry the older gray colored model? I can't read the the new white one. Gold/ light blue and white?? Really!! It's pretty to look at, but for these old eyes it's useless. By: dancingcat (18-Sep-18) Helpful Question? Yes | No Thank you! Report Inappropriate This question has been reported. Thank you! I have the older model & LOVE it. 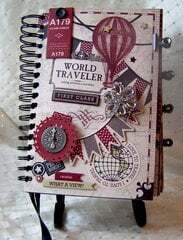 I bought mine from Scrapbook.com but I do not know who has them now, Sorry By: patscott (22-Sep-18) Helpful Answer? Yes | No Thank you! Report Inappropriate This Answer has been reported. Thank you! Can someone tell me if this only makes "Square" envelopes, or will it also make a standard "Business" sized envelope (4-1/8 x 9-1/2")? So "Rectangular" shaped envelopes. By: User (15-Jun-16) Helpful Question? Yes | No Thank you! Report Inappropriate This question has been reported. Thank you! The highest it has for length for a standard size is 8 1/2. I'm sure you could probably create an envelope for a business envelope but it doesn't have that specific measurement already configured for you. Would have to just try it out yourself. By: newbeginning3010 (17-Jun-16) Helpful Answer? Yes | No Thank you! Report Inappropriate This Answer has been reported. Thank you! I need one with the measurement chart in centimeters. Does the product has both (in inches and cm)? By: hellmalhame (21-Oct-14) Helpful Question? Yes | No Thank you! Report Inappropriate This question has been reported. Thank you! Unfortunately, the measurement chart is not in centimeters. By: Amber Boren (23-Oct-14) Helpful Answer? Yes | No Thank you! Report Inappropriate This Answer has been reported. Thank you! It comes with a cm sticker to put over the inches. Just remember that most score boards ar in inches though. By: apinknut (03-Aug-17) Helpful Answer? Yes | No Thank you! Report Inappropriate This Answer has been reported. Thank you! Will this make a long vertical envelope 7 inches tall by 4 inches wide? By: Giftbearer (17-Oct-14) Helpful Question? Yes | No Thank you! Report Inappropriate This question has been reported. Thank you! Yes, as with any size envelope - comes down to the size of paper. So, for a 4.5 x 7 - you will need an 9.25 x9.25 piece of paper. By: d2photo (19-Oct-14) Helpful Answer? Yes | No Thank you! Report Inappropriate This Answer has been reported. Thank you! Are you selling the new re-sized punch board now or do you have old ones to sell off? I only want to purchase a new one. Thanks. By: DrSatine (07-Oct-14) Helpful Question? Yes | No Thank you! Report Inappropriate This question has been reported. Thank you! 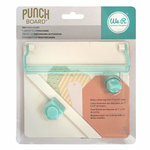 We have restocked with new punch boards many times since the correction was made. By: Paula K (08-Oct-14) Helpful Answer? Yes | No Thank you! Report Inappropriate This Answer has been reported. Thank you! Can I purchase a bonefolder that fits my board. I've lost the one that came with it and prefer it as it makes a crisper line than most. Thanks By: FifiStewart (15-Sep-16) Helpful Question? Yes | No Thank you! Report Inappropriate This question has been reported. Thank you! I'm sorry but I have no idea. Can you email the company that makes it and see if they offer replacements? By: jkdren2 (19-Sep-16) Helpful Answer? Yes | No Thank you! Report Inappropriate This Answer has been reported. Thank you! 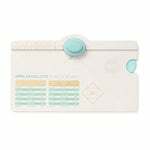 Is the price for the envelope punch board in NZ Dollars or Australian Dollars? By: janice.neame (27-Sep-14) Helpful Question? Yes | No Thank you! Report Inappropriate This question has been reported. Thank you! $17.99 US dollars By: chriswooten (29-Sep-14) Helpful Answer? Yes | No Thank you! Report Inappropriate This Answer has been reported. Thank you!